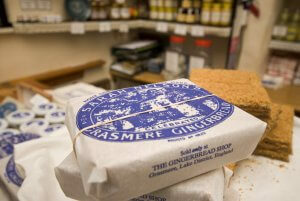 Where do you begin when describing the Lake District? 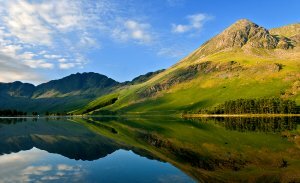 You could start with hard facts: it’s England’s largest and most visited national park, with its highest peak and biggest lake. There are 26 miles of gorgeous Cumbrian coastline and estuaries to explore and, in 2017, it became a UNESCO World Heritage site. Then there’s the artistic angle and the Lakes’ links to literary greats, from William Wordsworth to Beatrix Potter. Whether you’re a fact or a fiction fan, if you haven’t visited this fascinating part of the north west with family or friends, you’re missing out on some marvellous adventures. Return to the ice age – Behind the stunning scenery and stories, the history of the vast Lake District landscape is an eye opener. The area took shape around 12,000 years ago at the end of the last ice age. Plants and trees were able to grow and nomadic groups lived off the land and its animals. Some 5,000 years later, the sprawling forests began to be cleared for crops and grazing. Permanent homes were established and small settlements grew. Fast forward several thousand years and the invading Romans from the south reached these remote lands. They created forts, camps and roads to leave their own mark, with Hadrian’s Wall built to the north to mark the frontier of their empire. The Vikings, too, eventually sailed across from Ireland in search of new and peaceful pastures. Their legacy around the Lakes remains through monuments and landmarks, including the huge Norse Cross and hogback gravestones at St Mary’s church in Gosforth. Historic towns and villages ending in ‘by’ and ‘thwaite’, such as Ireby and Satterthwaite, represent links to Viking times, as do the terms dale, beck and fell which appear throughout its 583,000 acres. A UK first – In 20th century post-war Britain, the move to establish, protect and promote beautiful areas led to the creation of national parks. The Peak District was the first in April 1951, followed just a few weeks later by the Lake District. The fight to set up these special locations was greatly influenced by a collection of famous poets, writers and artists well before parliament finally acted. William Wordsworth was born in 1770 in Cockermouth, just outside of what is now the Lakes, and attended Hawkshead grammar school. His early 19th century poem ‘I Wandered Lonely As A Cloud’ is perhaps the best know work related to the area. He later published ‘A Guide through the District of the Lakes’ to further enhance his relationship with his beloved Cumbrian countryside. Wordsworth moved to Dove Cottage, Grasmere, in 1799 and then to nearby Rydal Mount in 1813, where he continued to be inspired by the incredible environment around him until his death in 1850. Samuel Taylor Colleridge, a friend of Wordsworth, moved to the Lake District in 1799 and lived at Greta Hall in Keswick. He expressed a darker view of Cumbria compared to Wordsworth but enjoyed exploring the mountains and walkways of the Lakes during the handful of years he lived there. Colleridge is noted as the first person to ascend Scafell Pike, England’s highest mountain, in 1802. Along with Robert Southey, who also lived at Greta Hall, the trio are referred to as the Lake Poets and part of the Romantic artistic movement of the early 19th century. Potter’s influence – Beatrix Potter’s impact on the Lake District is almost as immense as her literary achievements. The celebrated children’s author and illustrator penned ‘The Tale of Peter Rabbit’ and ‘The Tale of Jemima Puddle-Duck’ as well as many other short stories in the early 1900s. She enjoyed holidays in Cumbria and, after the success of her books, bought Hill Top Farm in Near Sawrey, between Hawkshead and Windermere, and later other farms and estates. 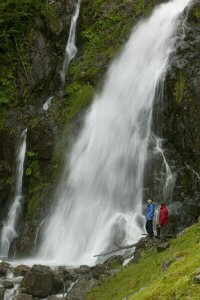 Two people standing near Taylor Gill Force waterfall. d to protect the environment. When Potter died in 1943 she left 4,000 acres and 14 farms to the National Trust, helping to pave the way for the Lake District’s creation. A link to the past – To experience the Lakes’ links to these great artists, there are plenty of places and attractions. The museum at Hawkshead grammar (hawksheadgrammar.org.uk) recreates where Wordsworth was schooled and even displays the desk he carved his name in. The Dove Cottage and museum (wordsworth.org.uk) and Rydal Mount (rydalmount.co.uk) offer tours and talks to complete your journey through the poet’s deep connection to the Lakes. Go to visitcumbria.com to check out details of group bookings to stay at Greta Hall and what’s going on in the pretty town of Keswick. If, like Coleridge, you fancy a trek up Scafell Pike, go to.org.uk for helpful hints. Reach the top and your party could be lucky enough to see views of Scotland, Wales, Ireland and the Isle of Man. Hill Top farm is managed by the National Trust (nationaltrust.org.uk/hill-top) and houses over 1,400 objects and 2,200 works from Potter. For younger visitors it will feel like Peter Rabbit has come to life in front of them. Children will also feel at home around the town of Kendall, where the creator of the Postman Pat books and TV show, John Cunliffe, was inspired. For the fictional Greendale, just take in the picturesque remote valley of Longsleddale. Steam into action- Away from its ties to these artistic greats, the Lake District of has stacks of fun activities and events to keep its many tourists happy. Visit lakedistrict.gov.uk for your guide to Cumbria’s finest, including biking and canoeing in Coniston, walking in Ullswater and the steam railway at Ravenglass and Eskdale.